Lord Alistair, heir to the Earl of Gaheris, finds his sleeping hours plagued by night terrors prophesying his death and his waking ones by his mother’s political schemes to make him king. Alistair resigns himself to a loveless marriage with Lady Leta, the daughter of the second-most powerful earl in the land. Leta appears to meekly acquiesce to the plans made for her. Inside her, however, a battle of wills rages, and the rebellious Leta will not so easily be silenced. Befriended and challenged by the reclusive Chronicler, Leta begins to desire more for herself than a lonely life as a silent and powerless queen. As Alistair’s uncle, Earl Ferox’s life draws to its end, he reveals a secret that sends the entire nation reeling and upsets all plans to unite the people under one king. In the midst of this chaos, an evil army marches, determined to destroy the would-be king and his people and capture the fabled House of Light. Meanwhile the Dragonwitch waits, searching for the enchanted sword which ended her first two lives. Only a hero can wield it. Once again, Stengl excels at drawing readers into the world of faeries and monsters. Dragonwitch reveals more story surrounding Starflower, as earlier Goldstone Wood novel Veiled Rose added to the series beginner, Heartless. Fans will enjoy piecing scenes from the two stories together as well as the cameo appearances by beloved characters from previous stories. Spiritual references are more understated in this novel than in previous books in the Tales of Goldstone Wood series. The Prince of Farthestshore (who seems to represent Jesus) makes a brief appearance. The idea that God has a plan, and it may not look like our plan, is discussed more than once during the course of the story. Some characters are part of a cult in which they worship and serve the Dragonwitch. An acolyte first defends her goddess, but later sees her as an imposter who imprisons and abuses her people. A mysterious narrator recounts the tale of two brothers given gifts by the true God who use those gifts to spread light and justice. One brother carries a lantern and the other a sword. Battle violence. Some brief details are given. To enter, scroll to the top of the blog post and leave a comment about one of your favorite fantasy characters. One random commenter will be chosen to receive a FREE copy of the book. 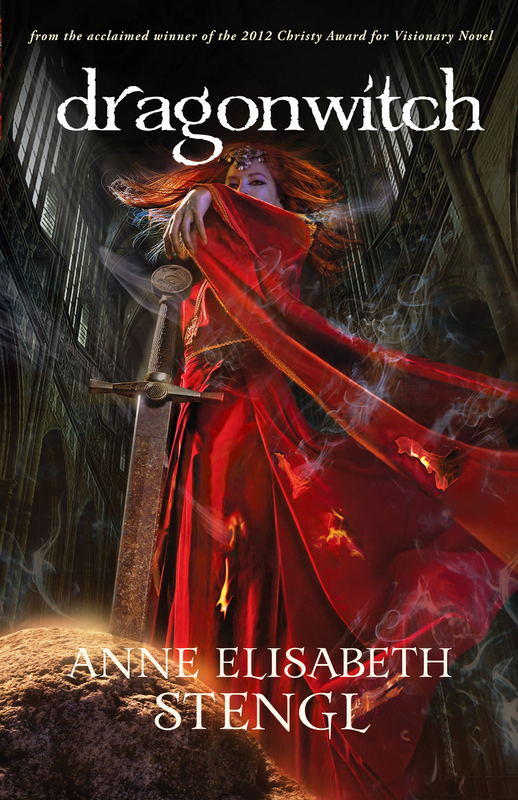 Tagged Anne Elisabeth Stengl, Dragonwitch, Giveaway, Tales of Goldstone Wood. Bookmark the permalink. Fav fantasy character is Sirius Black from Harry Potter =) ever since he was introduced he was my fav HP char, AND he turns into a badass huge black dog! Choosing a favorite is always a tough thing for me – so many choices for so many reasons. I love Hazel, the rabbit leader in Watership Down. He is a humble servant-leader whose courage and wits bring his followers through many dangers to a new and safe place. Looking forward to reading this book – thanks for the review and giveaway! Favorite fantasy character: mrs. Brisby. Hmm…that’s a tough one. When I first started reading Raymond E. Feist’s Riftwar Saga, I love-love-LOVED Prince Arutha. Especially in Silverthorn! Congrats! You won the copy of Dragonwitch. Email me with your contact info. youngadultrocks [at] gmail [dot] com. Yayyyy! Thanks so much! Emailing you right now…. One of my favorite would be Ender in Card’s “Ender’s Game” ..genius! –Thanks for the giveaway. I loved Ender’s Game! Great pick! My favorite fantasy character is an elf named Resolute created by Michael Stackpole. A really fun and interesting character in a fantastic series. Oooh! I have to add this one to my to-be-read list. Thanks for your entry! I’ve really enjoyed this whole series. Hope you check it out! 🙂 Thanks for stopping by. Fantasy character… Malcolm Reynolds from Firefly without a doubt! I am going to pick Taverick, from the obscure Hawk’s Flight. Fantasy character? It has to be Gollum. Very layered. Very tragic. What more could one want? LOL! Heroism maybe? 😉 I agree – definitely layered and tragic. Great pick! Thank you.